Nearly a year after the release of the Delfonics compilation This Time, Reservoir has released new goodies from the historic Philly Groove Records catalog, with songs by Sound Experience, First Choice, Flashlight, Terry Collins, David Lasley, Finishing Touch, Quickest Way Out, and of course, The Delfonics, available in the U.S. and Europe. Reservoir SVP of Creative and Business Development Faith Newman once again helmed the curation of the albums, whose content she's worked with since Reservoir's acqusition of Philly Groove Records and Nickel Shoe Music in 2012. One of the last groups signed to Philly Groove in the early 1970s, Sound Experience is one of the era's least heralded funk groups. Faith Newman explains: "I want this album to give people a chance to rediscover classic '70s funk. Everyone remembers Kool and the Gang and the Ohio Players, but Sound Experience has some strong songwriting, too. They have these classic funk horn parts that are on par with anything from Brass Construction." Despite sometimes being overlooked, Sound Experience's music has been quietly remembered through a series of sync placements, most memorably the usage of "J.P. Walk" in Boogie Nights. The groups reflected on Reservoir's first Philly Groove compilation largely point to the shift from classic funk to disco that began in the early '70s. "This era was a big turning point for soul music," Newman says. "Artists were turning away from message music to party tracks--less 'What's Going On', more 'get your groove on'!" First Choice was Philly Groove's only fully female group. Although the ladies sang disco, their music would go on to influence house and techno music, which blended electronic music and traditional R&B-style vocals. 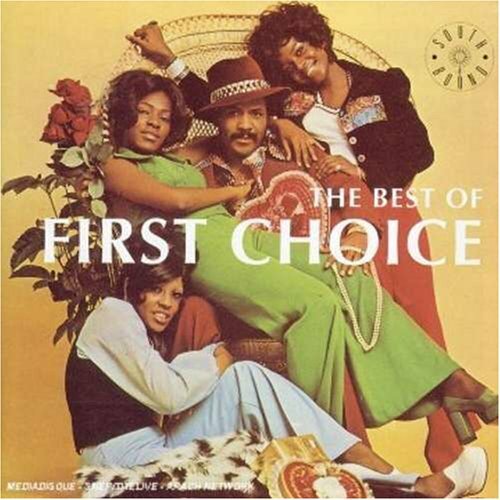 Newman notes, "First Choice were really the first female disco group, before the disco explosion that came in the late '70s. The funny thing is that even though their songs had strong female messages, a greatest hits album cover shows them sitting on the lap of a pimp. It just demonstrates how the whole world of recorded music at that time was dominated by male artists and male executives. Our 2014 album covers do not, thankfully, feature the pimp." "It was important to me to put out a second Delfonics compilation because there's still untapped music for fans to discover--or re-discover--and appreciate," Newman says. "The whole Philly Groove project has been about looking beyond the mega-hits of a group or catalog and really learning what the entire collection has to offer. Even the biggest hits have B-sides." Don't Fight The Feeling, Deeper in the Groove, The Early Years, and The Way Things Were are currently available on iTunes, with availability on Google Play and streaming on Spotify, rdio, and Beats to follow. All albums are or will soon be made available across several European territories, including the U.K. France, the Netherlands, Germany, and more.